Bright, whimsical iconography and graphic design embody this new upscale dog toys and bowls brand. 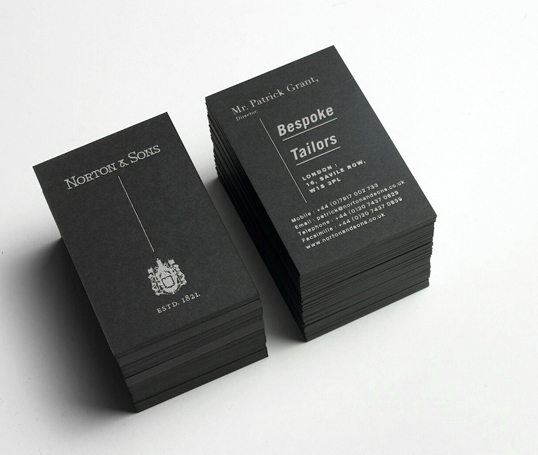 “Norton & Sons stationery, finery, and environment tailored by Moving Brands. It’s rare to find a company steeped in as much history and tradition as Norton & Sons. Founded in 1821, the Savile Row firm quickly gained a reputation among “rugged and robust gentlemen” for its immaculately cut suits and sporting garments. Winston Churchill and Cary Grant were fans. Lord Carnarvon was wearing Nortons when he discovered Tutankhamun’s tomb, as was Henry Stanley when he found Dr Livingstone. While Nortons recognised the importance of their heritage, they wanted to continue to engage a modern generation of young customers who also appreciated fine British tailoring. “All About Tea is an expert wholesale tea distributor based in Portsmouth, UK. They source their tea from remote regions, to bring the best of the worlds flavours to a global audience. Their offer extends from classic varieties to specialist blends. Their ambition was to hone their wholesale offer while satisfying the need to reach new audiences. They wanted to keep the warehouse feel but also establish a loyal consumer group who felt they were getting premium quality at wholesale prices. Moving Brands were tasked with creating a new identity that would stand out in a “sea of sameness.” The identity needed to work effectively across their existing wholesale market, and enable them to grow into retail channels. It was also vital to communicate the founder’s passion for the art and intricacies of tea. 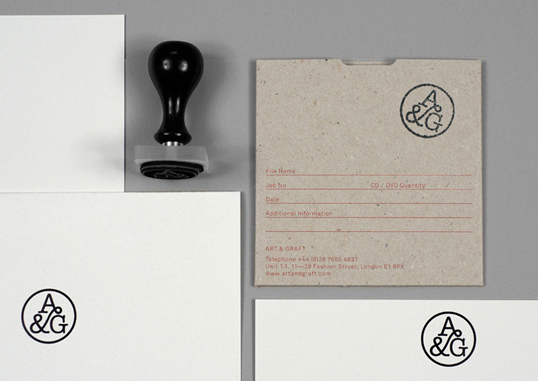 Simple letterpress business cards printed on 500g cotton. 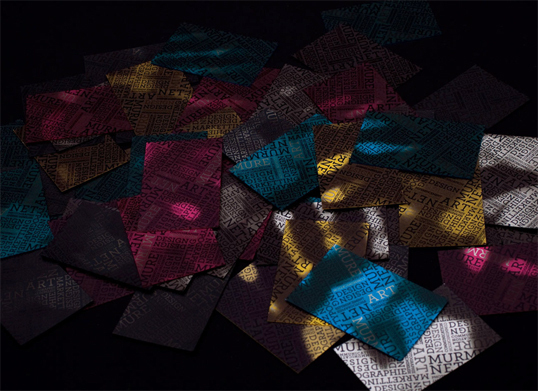 3 plates were used to achieve a blind debossed effect. Art & Graft is a creative animation and live-action studio that creates work across promos, commercials, short films and all forms of branded content. 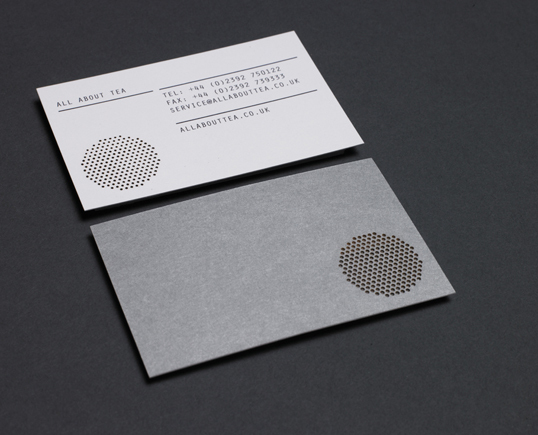 Contact 2.0 uses a thermal technique which at the touch of a hand reveals the design of the card. 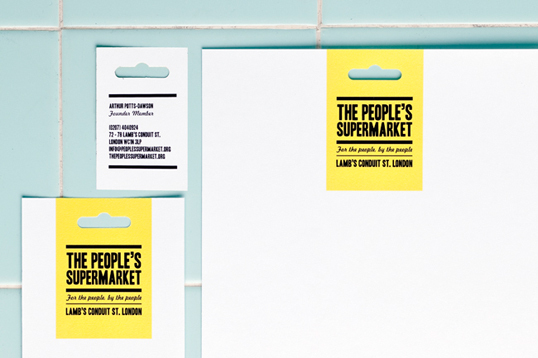 “After approaching the Supermarket to design some launch posters, we were tasked with developing the brand, which needed to reflect the co-op’s core values of being communal, affordable and democratic without appearing too virtuous or elitist. 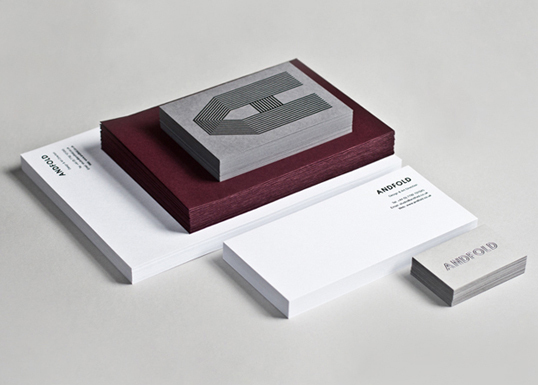 A full identity programme was required including logo, stationery suite, advertising, packaging and brand guidelines. In researching and developing ideas for the branding, we stumbled upon a potential icon that we felt was instantly recognisable, basic, honest and utilitarian. The ‘Euroslot’ is the hole punched at the top of numerous packaged products around the world. This handy little device goes un-noticed in day-to-day life despite being synonymous with retail. 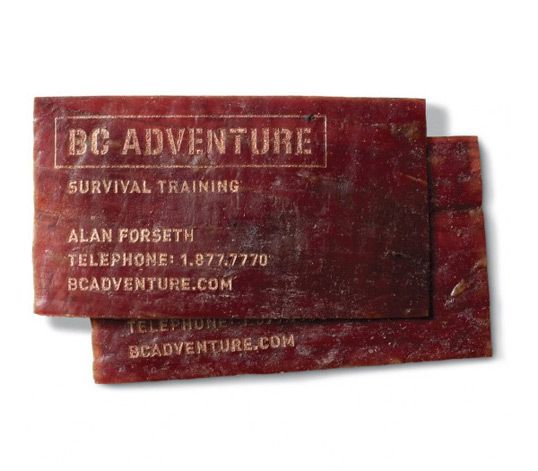 The slot can be easily cut through anything from letterheads to in-store packaging, creating a simple, clever and cost-effective branding device that can be consistently applied across all communications. 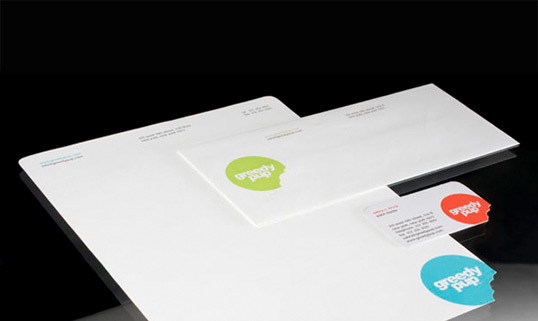 It has the ability to evolve from a decorative feature on letterheads and business cards through to forming the handle of bags, or a tab device in in-store signage. 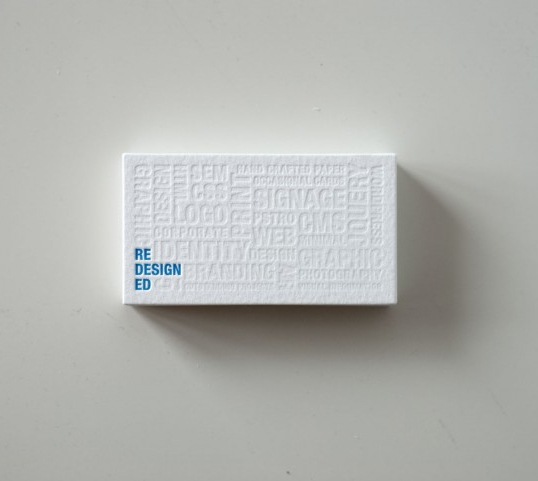 “Stationery and promotional mailer produced as part of our 2010 identity update. 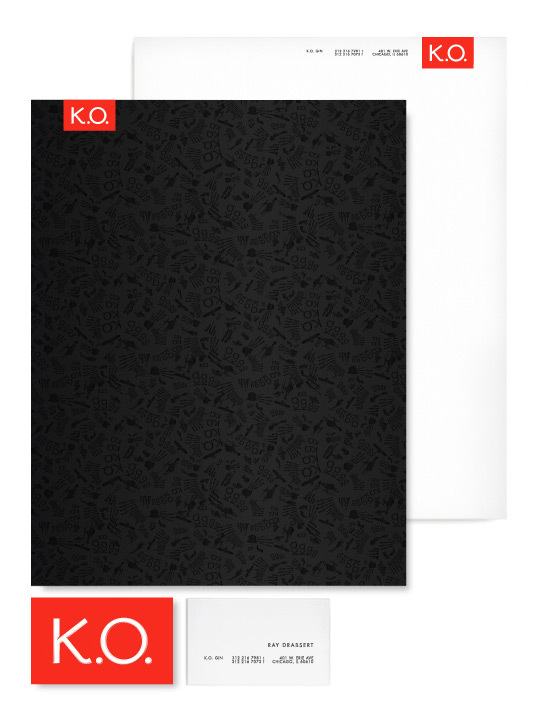 The items feature fully embossed detailing on GF Smith Colorplan; a range of Forest Stewardship Council certified papers.